is a 90 minute multidisciplinary theater work by Manual Cinema. When Death takes an unexpected holiday, an elderly film projectionist finds a new lease on life; a ghost explores the afterlife with her iPhone; and a seven-year-old girl discovers her own mortality. 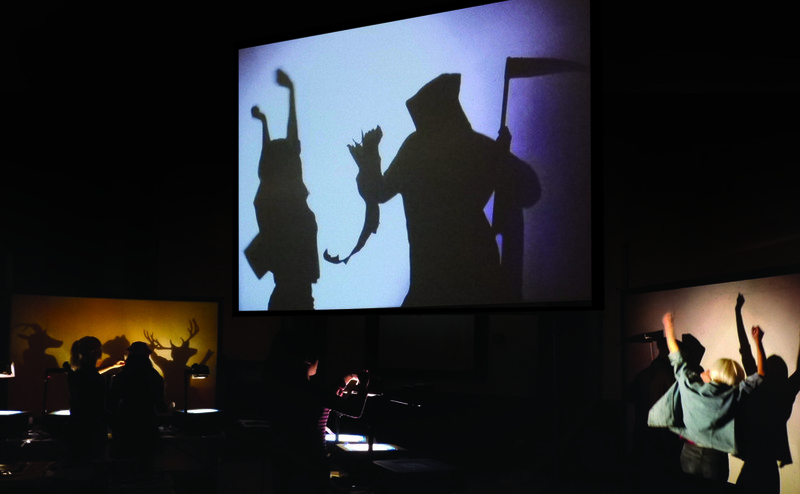 In Manual Cinema’s most ambitious show to date, a cast of six puppeteers use hundreds of paper puppets, seven overhead projectors, two cameras, and three screens to create a live “movie” in front of the audience. Accompanied by four musicians and live sound effects, the result is a rich mosaic of cinematic storytelling all performed live with puppets. Mementos Mori is a lively, beguiling meditation on death and dying. 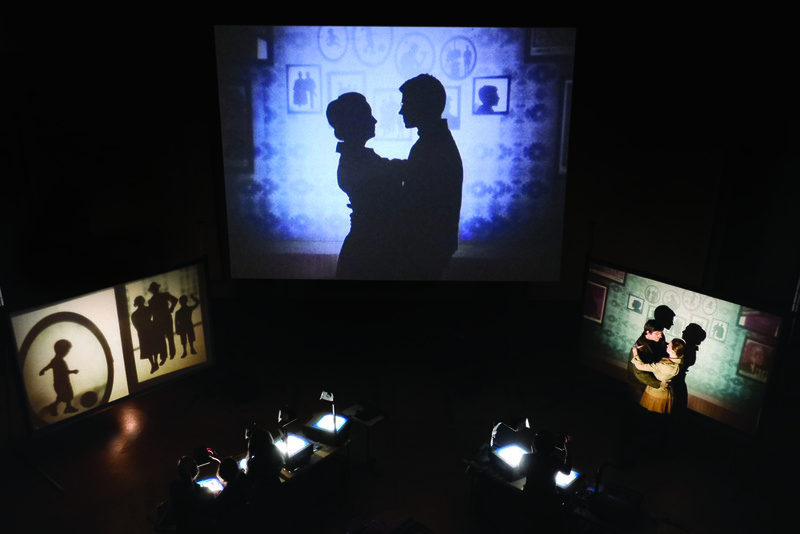 Mementos Mori premiered January 15-18, 2015 at the Museum of Contemporary Art as part of the Chicago International Puppetry Festival. "...A work of art of such complexity and insight, such whimsy and profundity, that it gives a whole new meaning to the art of “puppet theater.”"